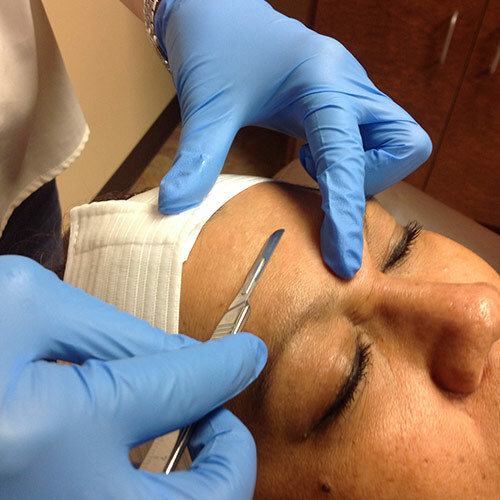 Dermaplaning is a simple, safe and non-invasive procedure that dermatologists use to gently exfoliate and remove the surface layer of dead skin cells. Dermaplaning also increases cell turnover rate and removes facial hair, or “peach fuzz” allowing your skin to feel softer and smoother than ever. This is an extremely popular treatment at Arizona Dermatology since there is no downtime, and it can performed as often as every two weeks.